Toxins work by temporarily weakening muscles, typically in the forehead, to minimize frown lines. Results appear within a couple days and can last up to a couple months. Fillers are liquid or gel substances, like hyaluronic acid or bovine or porcine collagen, that diminish lines by pushing up the dermis space beneath wrinkles and creases. Results appear immediately and can last up to several months. The specialist injects treatment within the deep dermis, where strands of collagen support your skin’s structure. 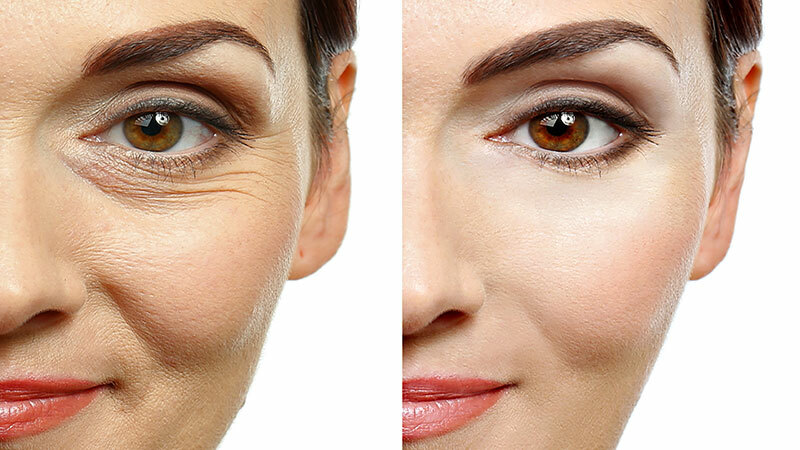 Over time, Sculptra Aesthetic helps the body reproduce lost collagen. On average, three injection appointments are needed over a period of a few months. The number of injection appointments and the number of injections per appointment vary from person to person, depending on how much collagen has been lost.